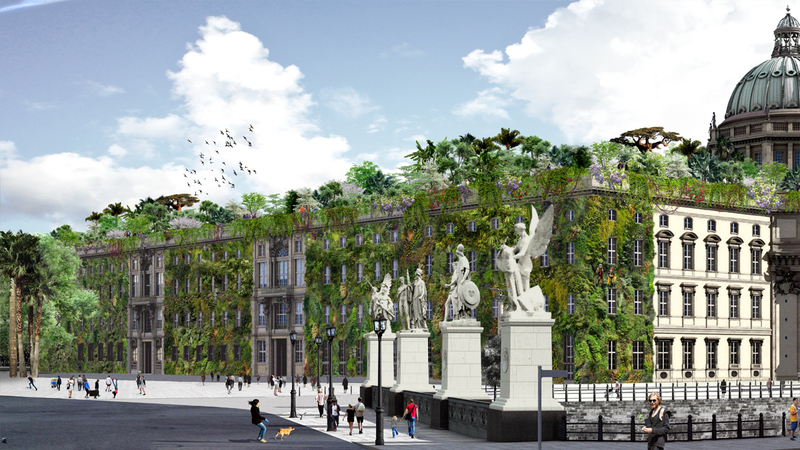 A jungle for the Berlin Humboldt Forum! 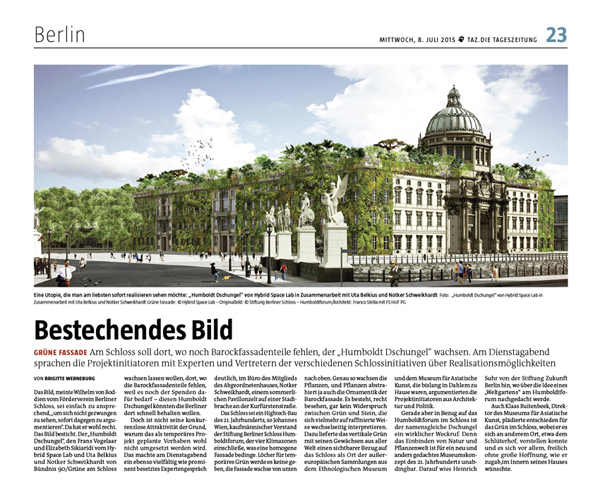 The Berlin Humboldtforum, named after the Humboldt brothers, will become a world center for culture and is housed in the reconstruction of a historical palace. 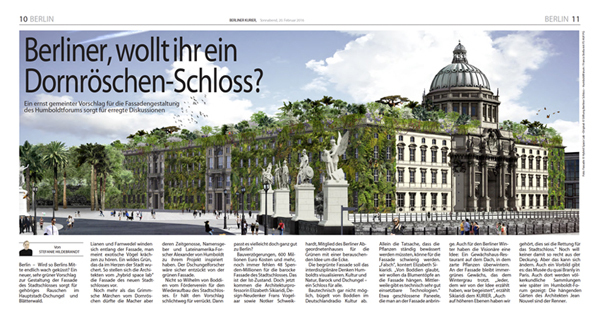 We designed a hanging garden with lianas overgrowing the Prussian palace and a tropical forest for its roof. 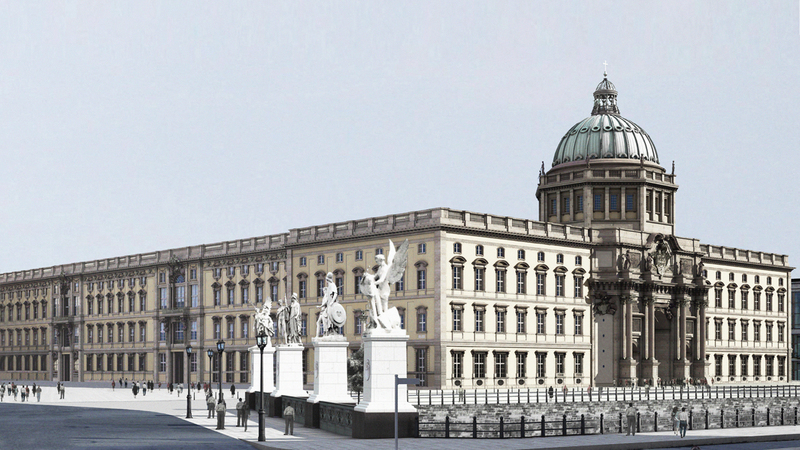 The story: Badly damaged during WW2, the Berlin City Palace was blown up in the communist era. At its place came the “Palast der Republik”, a building for state representation, that was then demolished after the reunification of Germany. 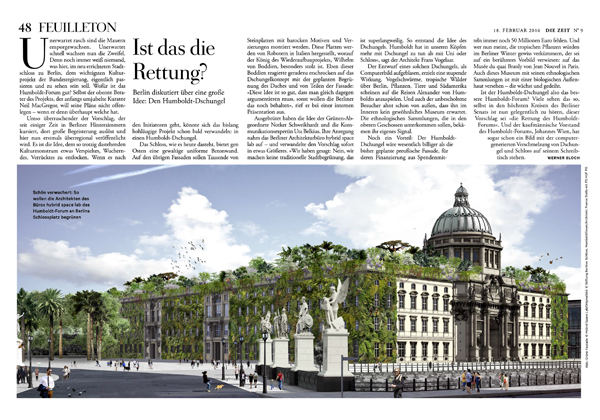 What can we do as long as the Baroque elements of the Humboldt Forum façade are missing – and there is still freedom and space for appropriation? 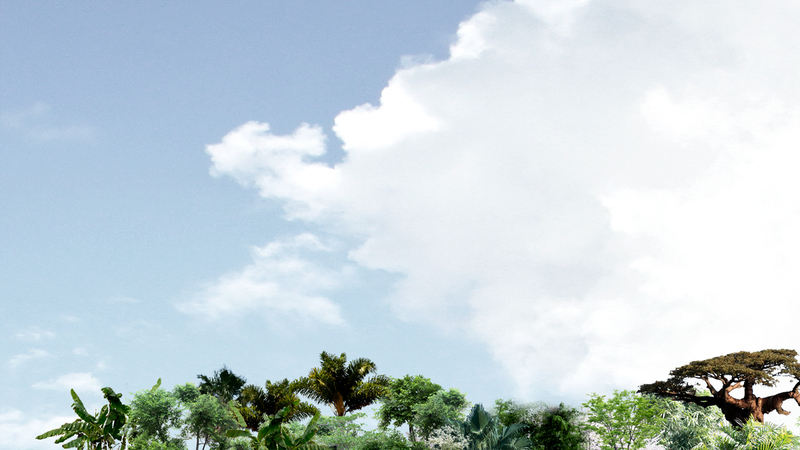 Humboldt Jungle is more than the greening of a façade. 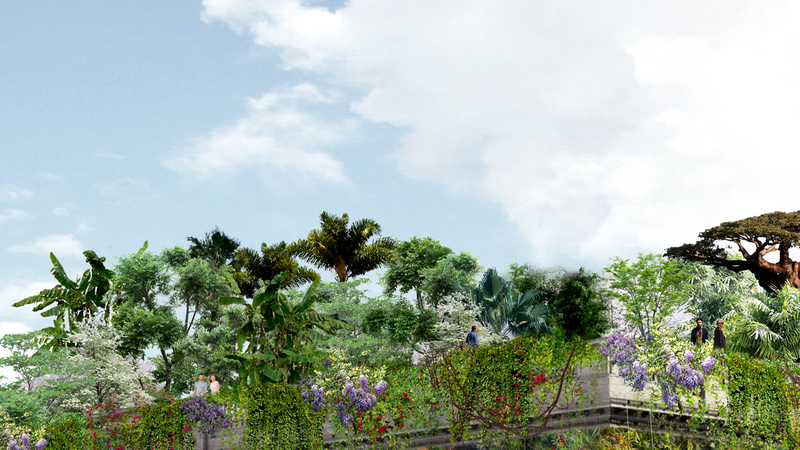 Humboldt Jungle lets “grass grow over” and reconciles with the layered historical wounds of this place. 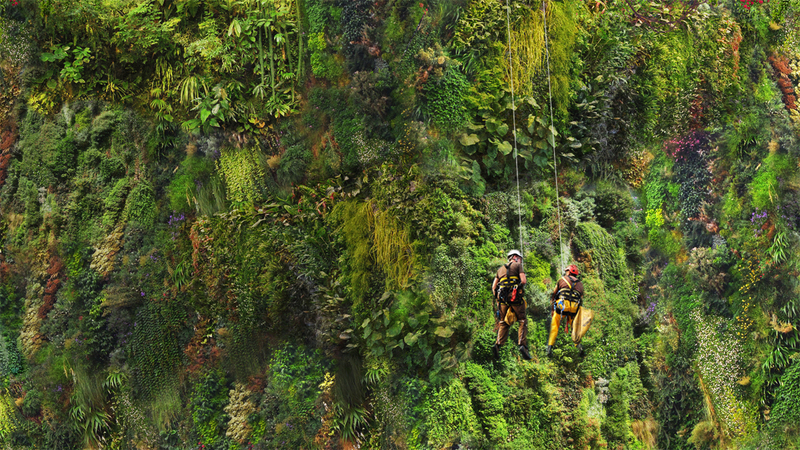 Humboldt Jungle refers to the interdisciplinary approach of the Humboldt brothers. 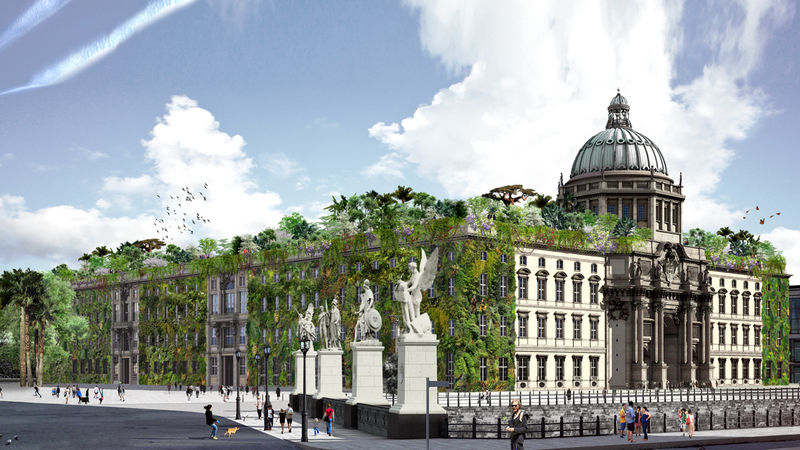 By means of a ‘jungle’ covering Humboldt Jungle discovers Humboldtforum and opens it up for the Dialogue of Cultures – in reverence to the naturalist and discoverer Alexander von Humboldt. Christoph Heinrich, World Wide Fund for Nature WWF Germany, Deputy Executive Director, Chief Conservation, 29-01-2016. Alexander von Humboldt developed the idea that all nature is connected, and pioneered concepts of sustainability. 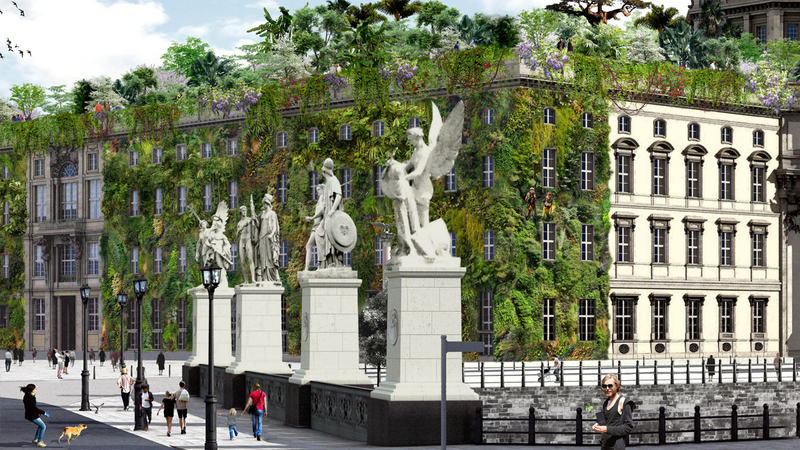 Today, the project Humboldt Forum that has his name is without any green space whatsoever.